This is the first time that I’ve seen “hornblocks” referred to on a North American modeling blog. 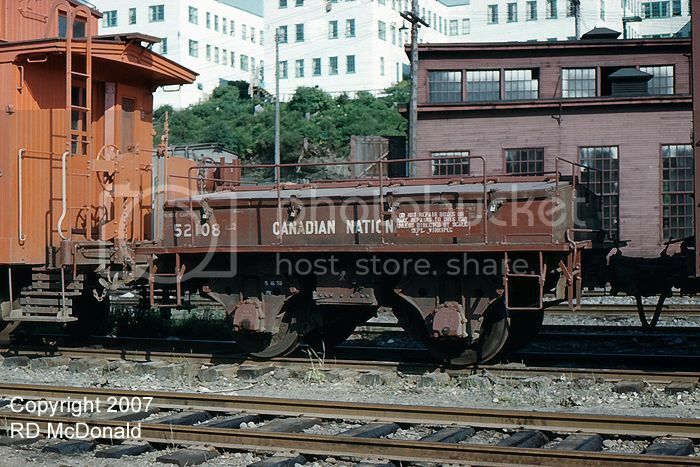 CN appears to have purchased at least one of these cars from the PRR. The Carmer coupler operating levers are correct for a CN model, and must have frustrated the odd trainman who would try to lift the lever to pull the pin. I remember handling this car a few times. 30 MPH was the maximum speed for these cars at the time that I handled these, but a higher speed prevailed in the 1950’s as I recall. ( I can check a 1954 CN Form 696 if you want.) 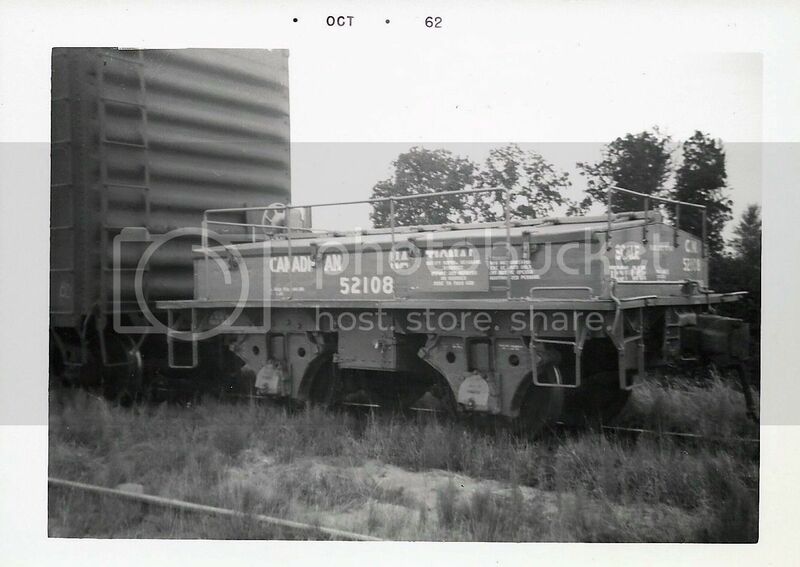 I know of two derailments occurring (one happened to me in a yard while it was coupled to an 89′ long flatcar) with these cars. 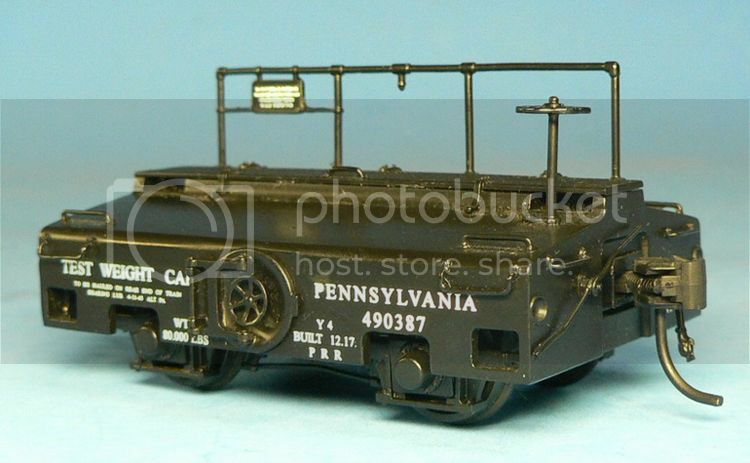 Another occurred when the train crew was unaware of a scale test car being in their train. At 60 MPH the car made its presence known by derailing itself and part of the train that it was in while running on the Guleph Sub ! The cars with railings running alongside the body like 52108 were an older fabricated design, CP having at least one similar car that I photographed years ago. These cars were sealed with Government of Canada seals and certified by Weights and Measures (annually? ), the date of weighing being stencilled on the car. The panel attached to the central handrail had a contact number stencilled on it for CN’s regional scale inspector. The short length of this car allowed it to be placed at different parts of a track scale, known as “three spot weighing”. Weights were taken at both ends of the scale and the centre, scale tickets being printed out. If indicated weights matched, all was good. If not, the scale mechanic would be called in to address the cause of the different readings. Looking forward to seeing this done up as a CN car! Thanks for sharing your modeling through your blog and Train Masters TV. I enjoy your videos and have learned from them. I have also been enjoying your posts and the related links. 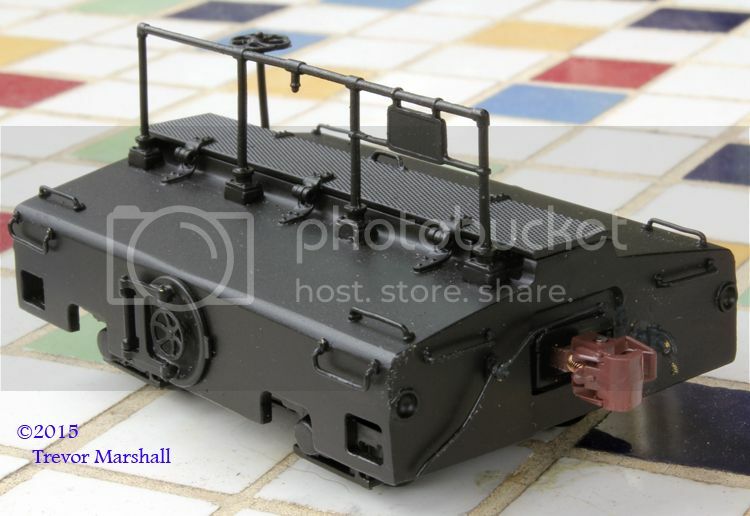 Even though I do not model Canadian prototypes, I enjoy most rail related subjects. I model the Raritan River Railroad. It was a 12 mile shortline in NJ. Unfortuately, it was absorbed, kicking and screaming into Conrail. Research is part of the challenge and reward found in model railroading. It’s good that you are getting things done even through the disrupptions caused by renovations. Been there done that. As time permits, keep the info coming. 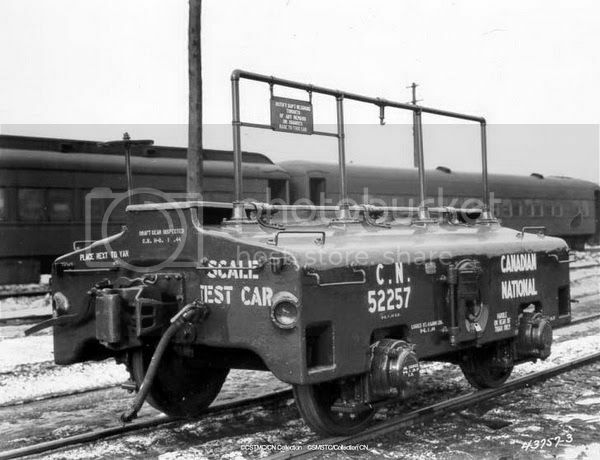 While researching prototypes i found two pictures of CN scale Test Cars form 1957. The pictures are in the Morning Sun Grand Trunk Book. The cars appear to be painted the colour you painted yours but the handrail is silver and the tread plate is black. Thought you’d like to know. Thanks Ryan! I have that book – I’ll have a look. Cheers! The grab irons are also silver. These are easy modifications: a bit of brush-work and I’m done. These cars have high-mounted handbrake wheels, which my models do not. But I’m fine with that.